A successful fundraiser has the potential to grow your donor base, develop interest in your cause, and bring in a lot funds. The question is…what makes a fundraiser successful? There are hundreds of ways to answer this question, but let’s just start with one. Hosting a successful fundraiser starts with thinking outside of the box and connecting with your audience about more than just money. Today we’re going to introduce you to a simple and exciting addition to any fundraiser that will do just that! Enter the wine pull: a fun addition to any fundraiser that allows attendees to donate to your cause and walk away with a bottle of wine. This is a great opportunity to offer a fixed price revenue enhancer to your event. The concept is this: you collect wine bottles of different kind and quality, wrap them, and allow attendees to purchase a bottle at random. Typically, a wine pull ticket can be priced at around $25. Before you start organizing your wine pull, you need to gather a wine collection (about 30 bottles for every 50 people attending). They should be a good variety of type and quality. Most bottles should be mid-to-low-range in quality, with a smaller percentage being high-end. Acquiring all this wine can seem intimidating, but don’t worry! This event is a great opportunity to get a local winery involved by either donating or sponsoring. Many businesses are willing to partner with charities, especially if it means getting some free promotion. Contact local wineries and vineyards to ask if they would partner with your charity by donating a couple of bottles (in exchange for some free advertising of course). At the event, be sure to include information about each of the wine’s being offered, and the donors/sponsors who made the event possible. If you’re unable to procure a lot of donations, you can host a pre-event wine tasting party with some core members of your team. Everyone will bring a bottle to share and a bottle to save for the event. This is a great way to build excitement leading up to the event and help stock your collection! 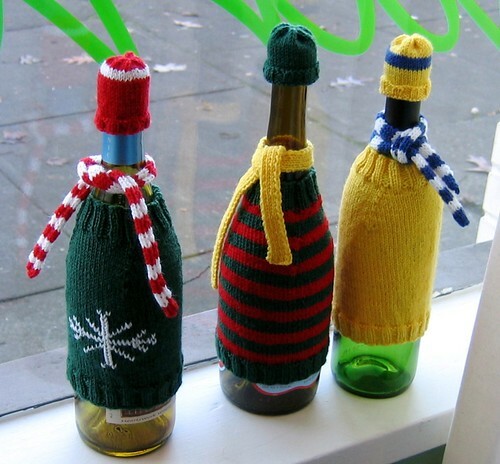 Once you have the wine, you will need to wrap the bottles to hide the brand. Typically, bottles are wrapped in craft paper with a ribbon around the bottle neck. However, you can get creative by wrapping them to match the color scheme of the event, or in costumes to match the cause you are supporting. These bottles will need to be neatly displayed for the attendees to see and pull from. They can be placed on a table, or stocked in a wine wall. It is best to keep the collection organized by red and white wines, and include a sheet in your display with the kinds of wine they could win as well as the companies who provided you with them. It is best to offer a holding place for purchased wine bottles, so guests don’t have to carry around their prizes for the rest of the evening. Up the stakes: Host a wine collection evening. Rather than each attendee purchasing one bottle, they will buy raffle tickets for around $10-15. First place winner goes home with 20 bottles, second place with 15, and third place with 10. Wine & Beer Pull: Take advantage of the increasing popularity of craft beers by including beer in your collection. From there, you can either assign a fixed price for both drinks, or offer two separate tickets ($15 for beer, $25 for wine, etc.). Unwrapped: Don’t wrap the wine bottles. It’s particularly successful if you have been able to obtain a lot of high quality wine. Assign each bottle a number, and then place wine corks with matching numbers in a container. Attendees pay a fixed price ($20-30), pull a cork out at random, and win that wine. No matter how you choose to execute the wine pull, it is a unique way to add an enjoyable experience to your fundraiser. Successful fundraising events seek to connect with attendees over more than just money, and this element is a simple way to do that. This ensures that your guests excited about the event, eager to participate, and makes it easy for them to invite people who may not already be connected to the cause. Try adding the wine pull to your next fundraiser to increase the enthusiasm surrounding the event and enhance revenue! And, when you are ready, check out our Wine Pull pin board on Pinterest for more ideas.